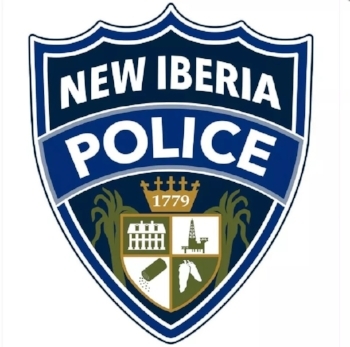 Early successes by the New Iberia Police Department are highlighted in the below video report. Posted on July 19, 2018 by Christopher J. Gary and filed under Law Enforcement, Louisiana and tagged New Iberia police. Moments ago, the Louisiana Republican delegation here in Cleveland was notified that our home was attacked. Our delegation, elected by our neighbors, is mournfully awaiting details on this reported attack on our police force by multiple assailants. This tragic shooting affects black and white, rich and poor, civilians and public servants alike. This cowardly crime is an attack on the values of law and order that members of the Baton Rouge community so desperately tried to maintain in the 12 days since the eyes of the world focused on our state. We send this message to those who would threaten to divide us: We are Louisiana and we will stand united and prayerful against evil. Posted on July 18, 2016 by Christopher J. Gary and filed under Law Enforcement, Louisiana and tagged Baton Rouge police. This video was obtained from the Facebook page belonging to East Stackz. You be the judge on this. Posted on July 6, 2016 by Christopher J. Gary and filed under Law Enforcement, Louisiana and tagged police Baton Rouge. Will Barack Obama Finally Admit That Cali Shooting is a Terrorist Attack? CNN is reporting this morning that the wife and co-conspirator in the shooting that took place earlier this week had sworn allegiance to ISIS. Obama and his talking heads in the White House have steadfastly held to the notion that this incident was "workplace violence" or anything other than what most of America has seen it for, which is radical Islamic jihad. And, on the heels of this shooting, the "President" has named an Hamas sympathizer as the new ISIS czar. What else will it take for America to see we have an Islamic sympathizer as President who has no intention to protect us against ISIS and would rather focus on gun rights being diminished and calling climate change the greatest risk to this country? May God watch over us, because Obama sure in the hell won't. Posted on December 4, 2015 by Christopher J. Gary and filed under Barack Obama, Law Enforcement and tagged ISIS islamic terrorism islam 2nd Amendment California Barack Obama San Bernadino Hamas. With issues surrounding police interactions with citizens and subsequent tragedies that have occurred on certain occasions, we have this issue in Lafayette Parish regarding the death of a young man after a confrontation with law enforcement and the decision to not prosecute the involved officers. Posted on June 2, 2015 by Christopher J. Gary and filed under Law Enforcement, Louisiana and tagged police. Slidell Police recently posted a photo of what was found in a homeless man's pockets on their Facebook page, and what exactly it is, will leave you flabbergasted. It seems that this man, who was arrested for urinating in public, was found with over $800 in cash on his person. This same man was offered a job on numerous occasions, but there's no small wonder that he was unwilling to take work when he can panhandle nearly $800 in cash each week. Posted on June 2, 2015 by Christopher J. Gary and filed under Law Enforcement, Louisiana and tagged Louisiana. In what makes yet another story in years of turmoil within the Iberia Parish Sheriff's Office, the Department is under investigation of improper use of force against an inmate in the Parish Jail while in custody. The video concerning that incident can be seen here. The latest incident comes on the heels of the death of Victor White, who died while in police custody and was determined to have inflicted a deadly wound to himself with a hidden gun, all the while handcuffed with his hands behind his back. In addition, the Sheriff's Department was named in a federal investigation concerning improper use of force during Louisiana Sugar Cane Festival celebrations in 2013. A video was taken of a deputy beating a handcuffed man following the Festival on Hopkins St. As a result of the video, the deputy was fired from the Department by Sheriff Louis Ackal. Ackal has repeatedly said he is working to clean up the Department, but settlements with plaintiffs concerning issues with his Department and behaviors of his deputies have mounted to $1.1 million dollars. Posted on May 4, 2015 by Christopher J. Gary and filed under Louisiana, Law Enforcement and tagged Iberia Parish Louisiana.